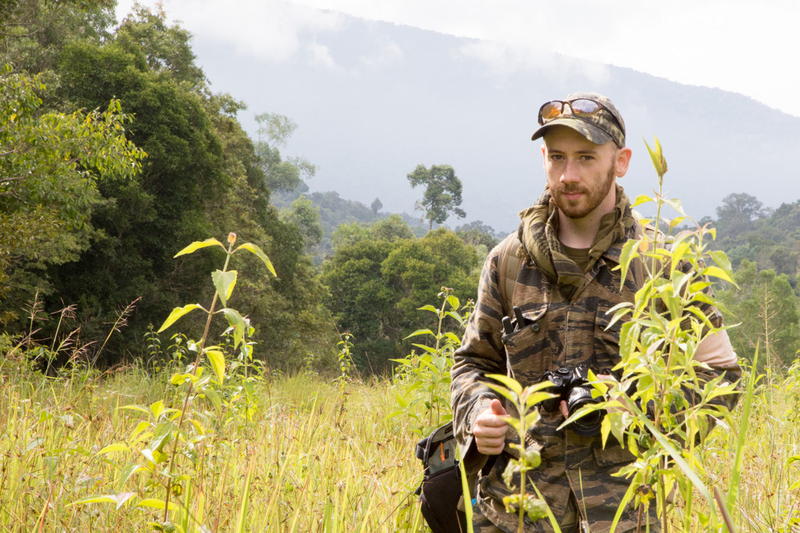 I joined WildCRU in 2017 as a postgraduate student with the University of Oxford’s Department of Zoology. Prior to joining WildCRU, I obtained a bachelor’s degree in Environmental and Resource Studies from Trent University in Canada. In 2012, I joined Freeland Foundation in Bangkok, Thailand, working with its Surviving Together program. Under this program, I led wildlife surveys in Eastern Thailand, with a particular focus on Indochinese tigers (Panthera tigris corbetti). In 2016, under a partnership between Freeland and Panthera, I led a large-scale survey on tigers to generate a population density estimate in critical tiger habitat. This research documented the first recent records of breeding of tigers in Eastern Thailand, establishing this population as potentially one of only two viable breeding populations for Indochinese tigers remaining in the world. During my time with Freeland, I also assisted with implementing a range of activities aimed at improving protected area capacity in wildlife monitoring, law enforcement, community outreach, and management. As a postgraduate student working toward an MSc by Research in Zoology, I am examining eight years of camera trap data from Eastern Thailand to identify the extent to which the population of Indochinese tigers is influenced by various ecological and anthropogenic factors. I am also assisting WildCRU in an ongoing regional-scale analysis of clouded leopard (Neofelis nebulosa) and Sunda clouded leopard (Neofelis diardi) habitat selection and associations. I am passionate about tigers and their conservation. As such, my aim is to ensure my work contributes to efforts to safeguard and recover populations of wild tigers so that a future for this incredible species may be secured.